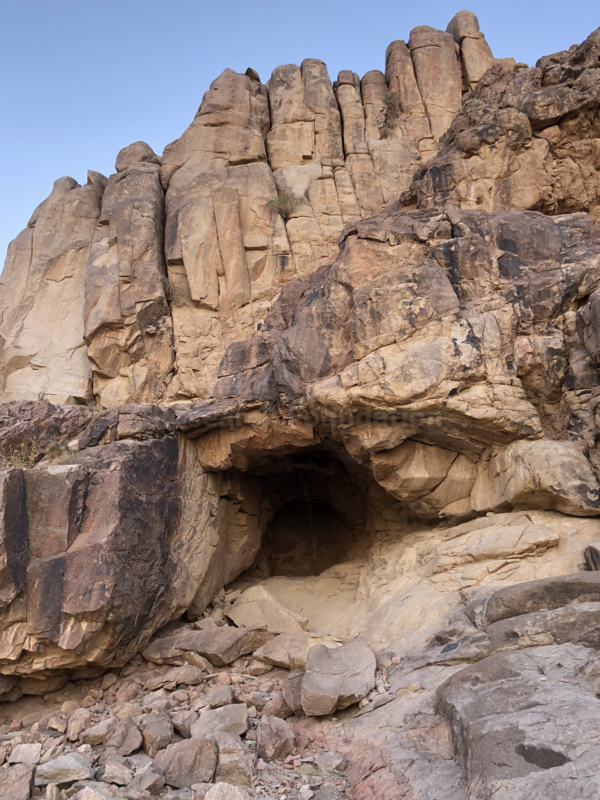 According to 1 Kings chapter 19, the prophet Elijah stayed in a cave on Mount Horeb/Sinai and interacted with God there. He was fleeing Ahab and Jezebel in fear of his life. 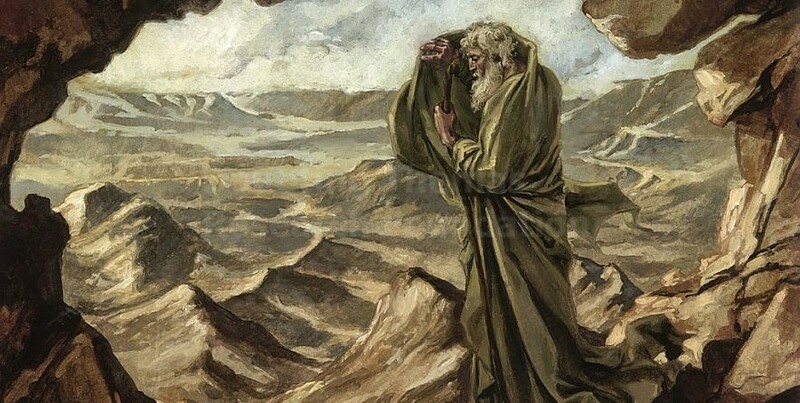 Elijah traveled “a day’s journey into the wilderness” from Beersheba in Judea, which is believed to be the archaeological site of Tel Sheva in southern Israel. It is to the east of the Israeli city today named Beer Sheba. From there, Elijah traveled 40 days and 40 nights to “Horeb, the mountain of God.” Once he arrived, he found a cave to sleep in for the night. 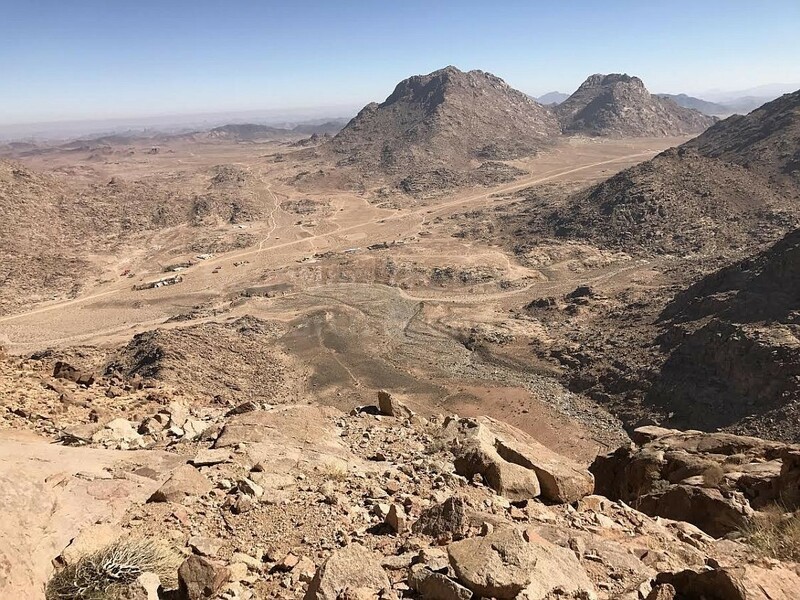 If the story has a historical basis and Jabal Maqla is Mount Horeb/Sinai, then there must be a distinct and visible cave on the mountain that would be noticeable upon a first visit. It must also be accessible. The cave must be large enough to accommodate a person and deep enough for that person to sleep in out of view of predators. It should also be shaped so that Elijah could stand on the mouth of the cave or just in front of the mouth of the cave and converse with God. Although there are caves around the arena-like plain in front of Jabal Maqla, these are on the ground level. The story indicates that the cave was on the mountain itself. There is only one cave that is very noticeable on the mountain from the ground level and reachable. 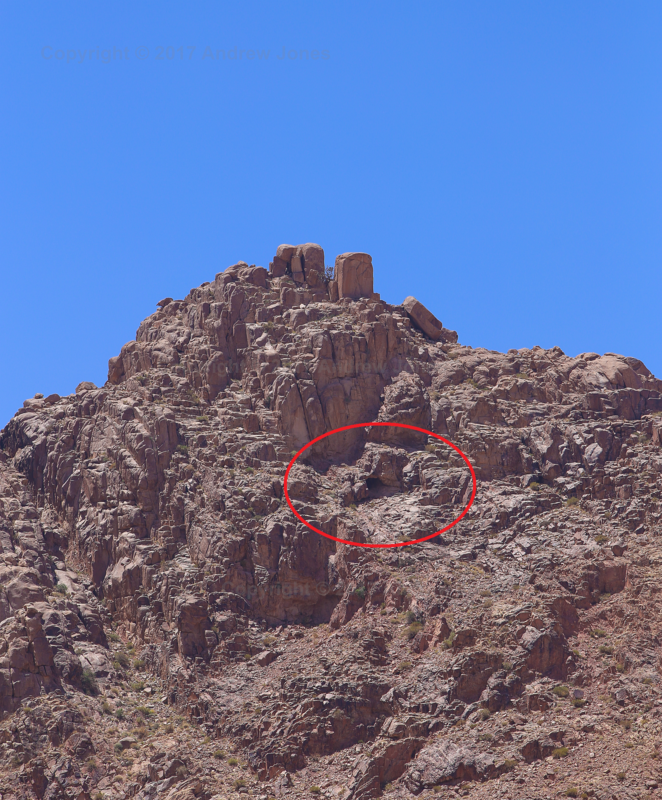 It is located on the front of the mountain, above the possible altar of Moses and remnants of the 12 pillars. The cave is about 15 feet high, 20 feet long and 20 feet deep. The top of the cave decreases from 15 feet to about 8 feet as one goes further into the back of the cave. It would be a safe, comfortable and easily discoverable cave for a single person to sleep in. A close-up view of the cave. I had long thought the Exodus was a marvelous story told for spiritual and moral lessons. Now I see that I was utterly wrong and I am so glad! I rejoice and am exceedingly glad! This has made my faith so much stronger. Oh, and I emailed President Trump and explained this matter to him and how these sites must not be destroyed in the construction of the city of Neom. I hope he reads it. God bless you in this wonderful work and cause. Dr. Nathaniel J. Merritt Met.D.